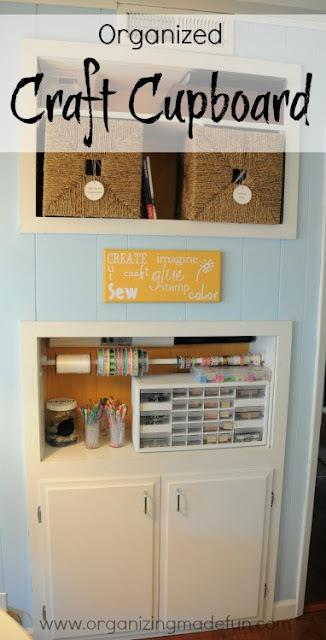 I am so in love with this craft cupboard. 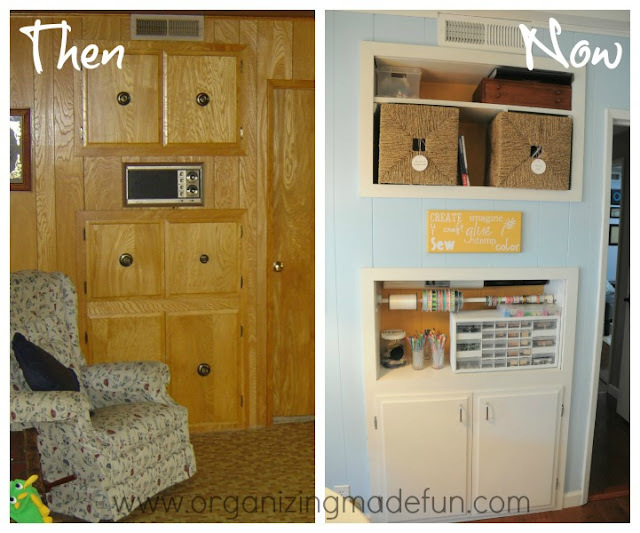 Becky, from Organizing Made Fun, is the creator of this beautiful and functional space. I can hardly believe the “before and after” of this space! Becky’s craft cupboard is not only functional, but she made it beautiful as well by adding pretty baskets and a vinyl word sign. She shares the step by step process of how she created this space and how she organized everything on her blog, HERE. You need to click on there and see what is behind those bottom doors. Her blog is FULL of great organizing tips, and you can always find a link to her blog in the sidebar.